Constructed in 1899, ten years after the Great Fire of 1889, Station No. 4 was originally located at 1304 West First Avenue. No. 4 has been relocated numerous times, due to efforts to expand the departments' emergency response area. In its early years, No. 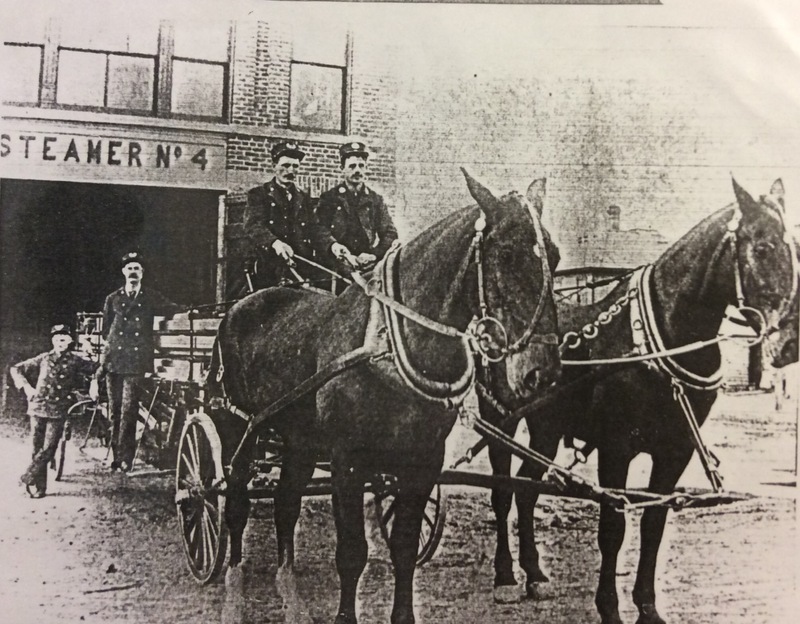 4 housed both a horse-drawn steamer and horse-drawn Tiger Hook & Ladder truck, often pulled by the affectionately named "Tom & Jerry" horse team. Firefighting is dangerous work, and those who are killed on the job are known as "Line of Duty Deaths." 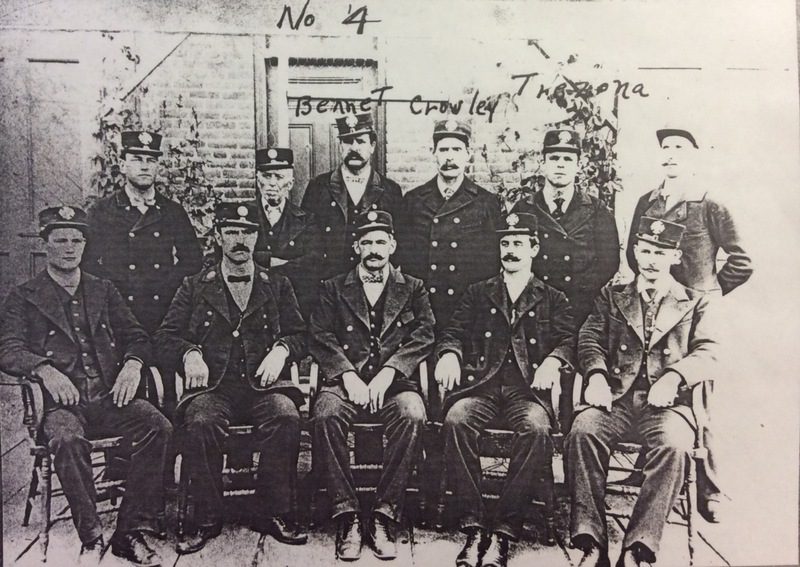 Seventeen Spokane firefighters have lost their lives in the line of duty between 1884 and 2013. Station No. 4 lost four of those men, twice as many as the next department. It was 1924 when No. 4 lost its first man. 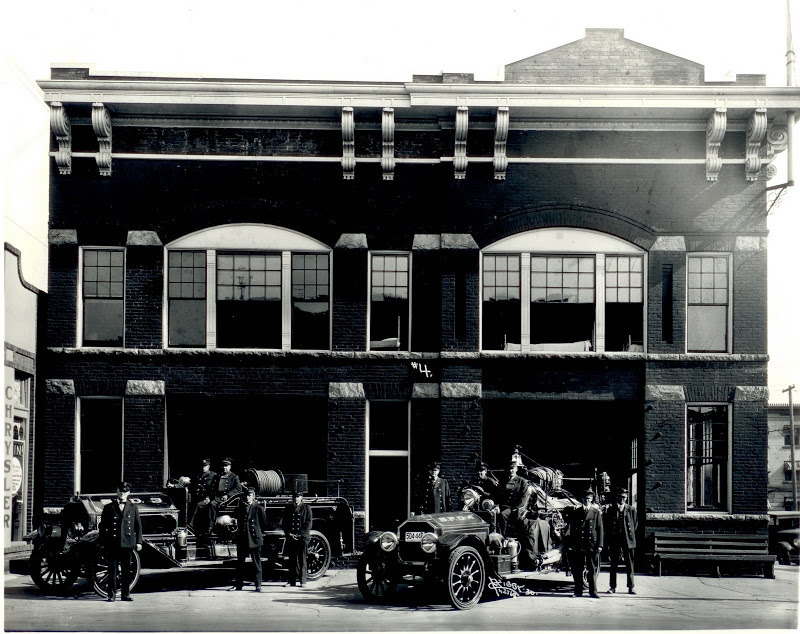 On May 3, 1924, the McGoldrick Lumber Yard, located on East Broadway, went up in the biggest fire since 1889. Twenty-six-year-old William A. Hutcheson and his crew were headed to Station No. 1 to pick up an old steam pumper in an effort to increase the streams of water needed to extinguish the flames. 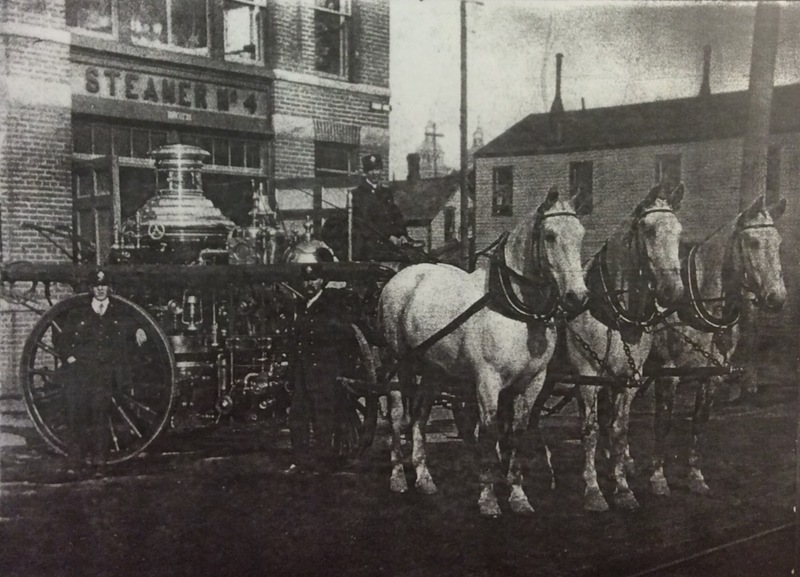 The steamer was being towed behind the fire engine, and was steered by Firefighter Hutcheson. As the engine turned towards the Schade Brewery, the steamer hit the curb. Hutcheson was thrown ten feet, hitting his head on the hard pavement. He never regained consciousness. Station No. 4 saw its next line of duty death in 1956, Captain Leonard W. Doyle, followed by Firefighter Leroy A. Mackey in 1966. The most recent firefighter to give his life in the name of serving the Spokane community was John F. Knighten, also out of Station No. 4. In 2013, Fire Equipment Operator Knighten, a 19-year veteran of the Spokane Fire Department, lost his three-year-battle with multiple myeloma, a cancer attributed to the firefighting profession. These men have not been forgotten. In 2013, Fire Lieutenant Greg Borg spearheaded a movement to commemorate the seventeen firefighters and their commitment to the community. In 2014-2015, on the anniversary of each sacrifice, a memorial plaque will be permanently fixed to the location each firefighter died, baring the helmet shield of each fallen firefighter, his company and rank, and a narrative of the incident that took each man's life. Spokane Fire Station No. 4 Personnel: No. 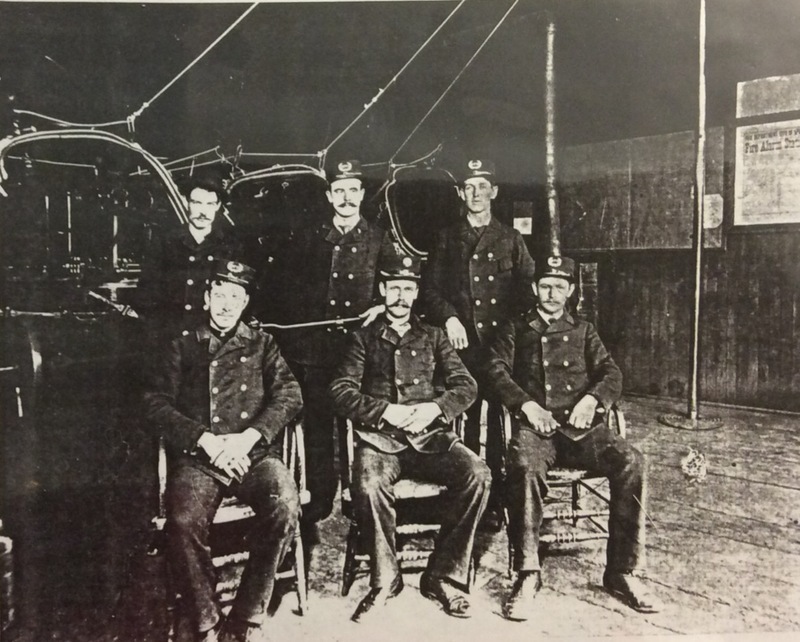 4's steamer, hose wagon, and crew, circa 1902. Located at 1304 W. First. Photo Courtesy of Spokane Fire Department, Spokane, WA. Spokane Fire Station No. 2 Horses: No. 4 with a team of horses. Photo Courtesy of Spokane Fire Department, Spokane, WA. Spokane Fire Station No. 4 Horses: No. 4 with horses and crew. Photo Courtesy of Spokane Fire Department, Spokane, WA. Spokane Fire Station No. 4 Crew: No. 4 crew. Photo Courtesy of Spokane Fire Department, Spokane, WA. Spokane Fire Station No. 4 Ladder Truck: No. 4 Tiger Hook & Ladder truck, drawn by "Tom and Jerry." Fireman Marshall Jones in seat. Photo Courtesy of Spokane Fire Department, Spokane, WA. Spokane Fire Station No. 4 Personnel: No. 4 personnel, circa 1900. Chisolm seated on left, Martin seated in center, Downay standing center. Photo Courtesy of Spokane Fire Department, Spokane, WA. Spokane Station No. 4 Steamer & Horses: No. 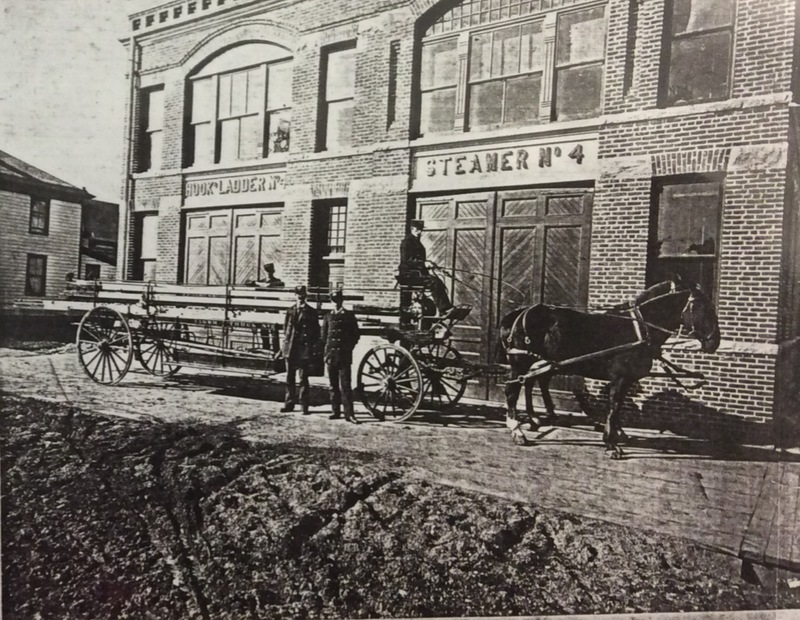 4 horse-drawn steamer on 1st Avenue & N.W. Corner of Adams. "Jerry," middle horse, was raised on Jay J. Kalez farm. Photo Courtesy of Spokane Fire Department, Spokane, WA. Spokane Fire Station No. 4: No. 4 personnel and motorized apparatus IN 1930. Photo Courtesy of Spokane Fire Department, Spokane, WA. 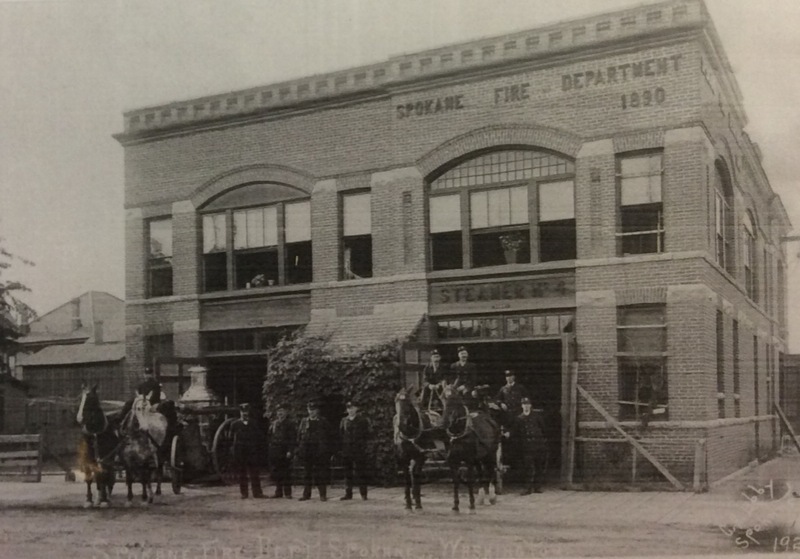 Caitlin M. Shain , “Spokane Fire Station No. 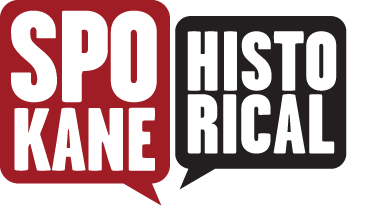 4: In the Line of Duty,” Spokane Historical, accessed April 19, 2019, https://spokanehistorical.org/items/show/442. Deshais, Nicholas. "Spokane's Seventeen Fallen Firefighters Remembered." The Spokesman Review (Spokane), September 11, 2013. "IAFF Local 29 LODD." IAFF Local 29. http://www.local29.org/?zone=/unionactive/view_page.cfm&page=Local202920Firefighter20Line20of20Duty20Deaths (accessed April 1, 2014). "Washington State Death Records - William A. - F. P. Hutcheson - Loatie M. Denny." View Record. http://www.digitalarchives.wa.gov/Record/View/429256EB1B92C06EF88E68EE959F4706 (accessed April 1, 2014).